Summer is halfway through, which only means we're still paying special attention to how our body looks. So, besides the workout plan I shared to get back into our ideal bikini shape, there's one other trick that will help along the way... I've been following this simple advice for a while now, and judging by all the articles and medical recommendations I've read lately, and how energized and healthy I've been feeling, this tip is truly beneficial in so many ways! 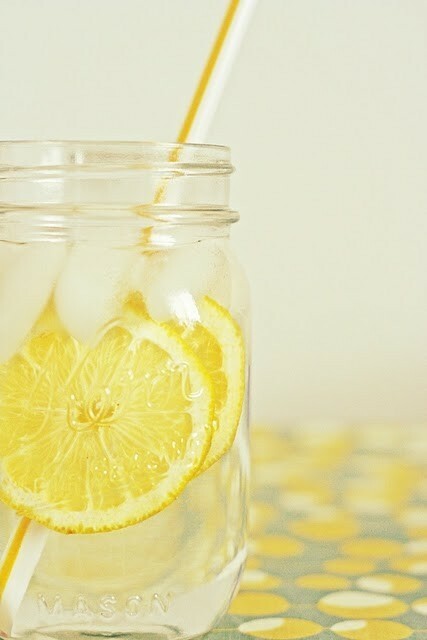 Lemon water is one of the easiest ways to fall into a healthy lifestyle. Lemon juice is packed with minerals and vitamins that bring the best out of your general health. For starters, lemon is high in vitamin C, which helps boost the immune system, keeping your body away from colds and bacteria. It also carries pectin fiber, which helps fight hunger cravings, and helps you lose weight faster. Another great benefit is that it helps with digestion plus being a great diuretic, purifying your body from toxins while reducing constipation. And it is not only ideal for inner health, but it also helps reduce wrinkles and blemishes.